Crisis Centre for Men (KCM) is a civil society organization, founded in 2012, which provides specialized psychosocial treatment of male perpetrators of violence in intimate relationships, training and supervision of professionals for the implementation of this treatment. KCM also provides other services and studies of the phenomenon of violence in general. Its activities are in accordance with the values of gender equality and non-violent values and constructive partner and family relations. Our team consists of psychotherapists and counselors with years of experience working on the detection and prevention of domestic violence, as well as protection of victims of violence. Our experts have gained specialized knowledge and skills for their work through training in the Norwegian organization Alternative to Violence (Alternativ til Vold, ATV). Our experts co-authored treatment programs for perpetrators of violence in intimate relationships in Serbia officially accredited by the Republic Institute for Social Protection.  Crisis Centre for Men operates in the Republic of Serbia and the SEE Region.